Louvres provide a practical element to what can be a fundamental design feature of the building on which they are utilised. Our 3D design capability enables us to provide our client a virtual walk-through of the final louvre product . 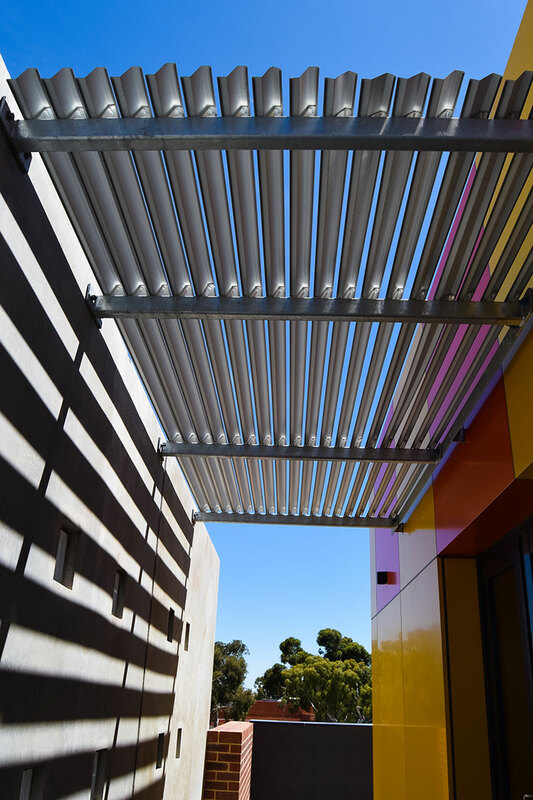 We have successfully custom fabricated and installed a range of louvre packages, for a range of purposes including - privacy and solar screening; as an architectural feature; and for screening of plantrooms and utility areas. Whether the requirement is for Elliptical blades, flat blades, or a custom water resistant design, we can tailor the solution as required.